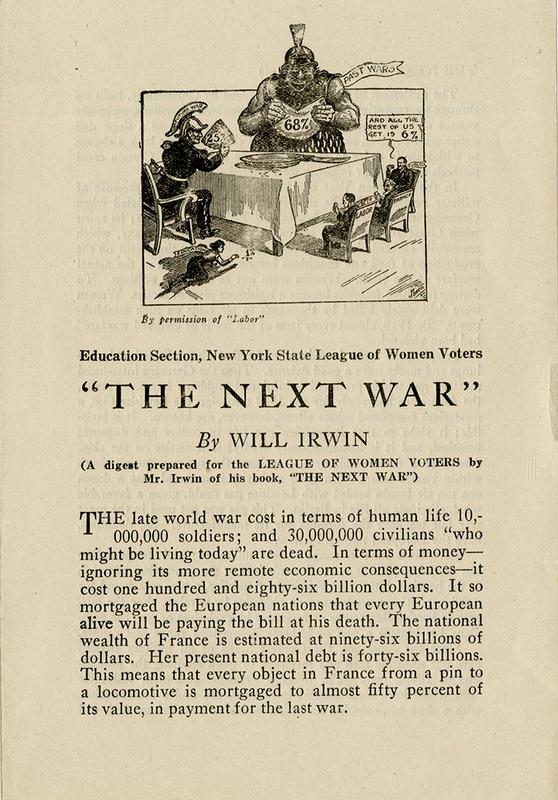 A digest prepared for the League of Women Voters by Will Irwin, who authored "The Next War." 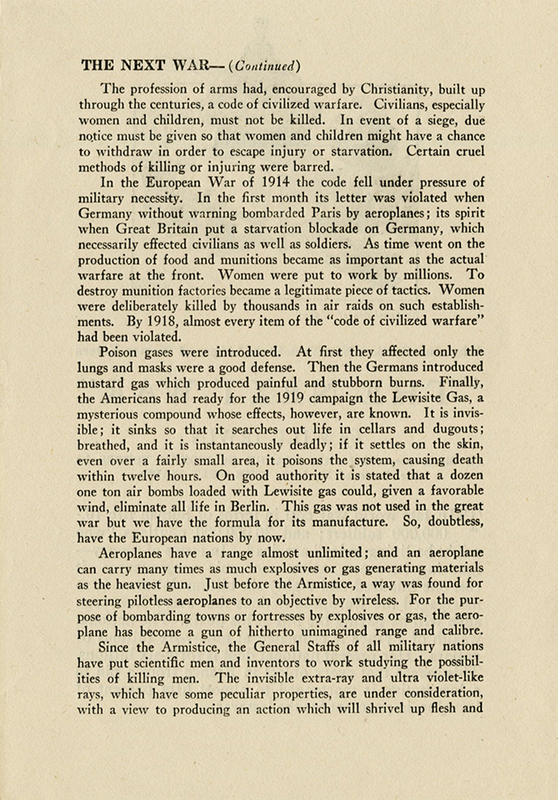 This next war refers to "young women [being] drafted like the young men for employment in the clerical work of war and in munition making." 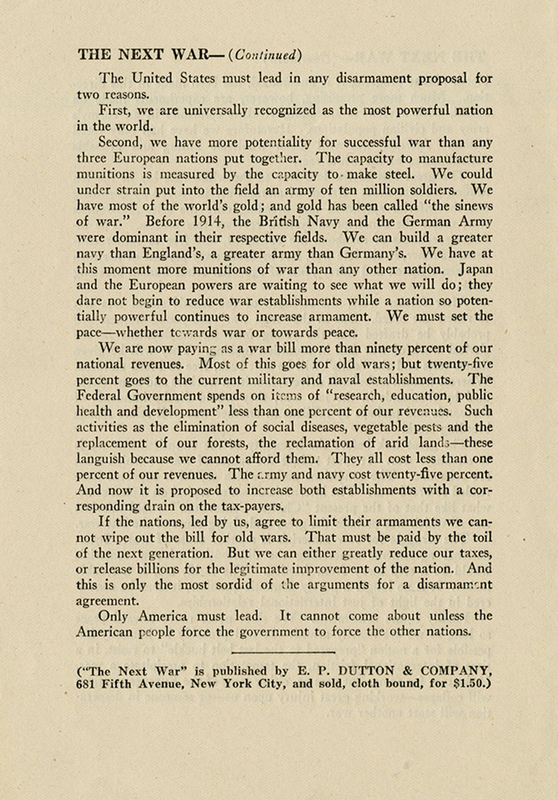 Therefore, Irwin claims, "the great task before the humanity of the twentieth century is to eliminate war." Cartoon by J. M. Baer (John Miller Baer). Reprinted from Labor. This item is in the public domain. Acknowledgement of the Virginia Commonwealth University Libraries as a source is requested. Reid, B.G. (1977). John Miller Baer: Nonpartisan League Cartoonist and Congressman. North Dakota History (44-1) Winter 1977. State Historical Society of North Dakota. John Miller Baer Cartoon Collection. Digital Horizons. Finding aid from Institute for Regional Studies and University Archives, North Dakota State University Libraries. 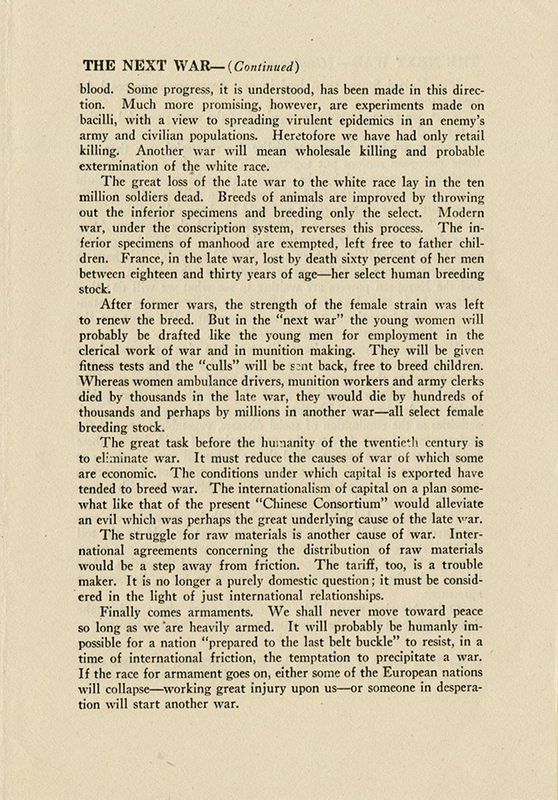 Irwin, Will , “"The Next War:" A digest prepared for the LEAGUE OF WOMEN VOTERS by Mr. Irwin of his book, "THE NEXT WAR",” Social Welfare History Image Portal, accessed April 24, 2019, https://images.socialwelfare.library.vcu.edu/items/show/106.